Whether you need a deck installed or repaired, we will always provide you with prompt, effective services. As our valued client, you deserve excellent customer service, and that's exactly what we'll deliver on every job. If you're unsure of whether our services are right for you, get in touch with us to request a free estimate. We'll discuss your particular needs to determine how we can best meet them. You'll be able to learn about the advantages of a stone paved deck without making a financial investment. Wood is the most common material used for decks. Unfortunately, wood proves vulnerable to the elements over time. Even with proper care and maintenance, wood cannot be expected to last nearly as long as stone. With a new stone deck from our professionals, you can be certain that your deck will last a very long time, with minimal maintenance. As your stone deck builder, we'll help you find the right pattern, shape, and size of paver for your deck. The amazing variety of stone means you can pursue just about any aesthetic direction you can imagine. Our company prioritizes honesty and integrity. It is our goal to establish strong relationships with all of our clients. 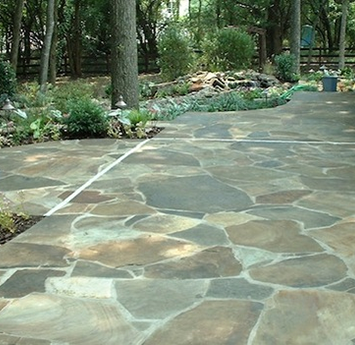 We rely on our loyal customers and they rely on us for superior stone deck installation services. When you hire us, you can be certain that we will always treat you with the utmost respect, while paying close attention to your needs and requests. We'll make sure that your deck lives up to your expectations. Contact us when you need a deck installed. We serve our customers in Jacksonville, Ponte Vedra Beach, Jacksonville Beach, Atlantic Beach, and Neptune Beach, FL.